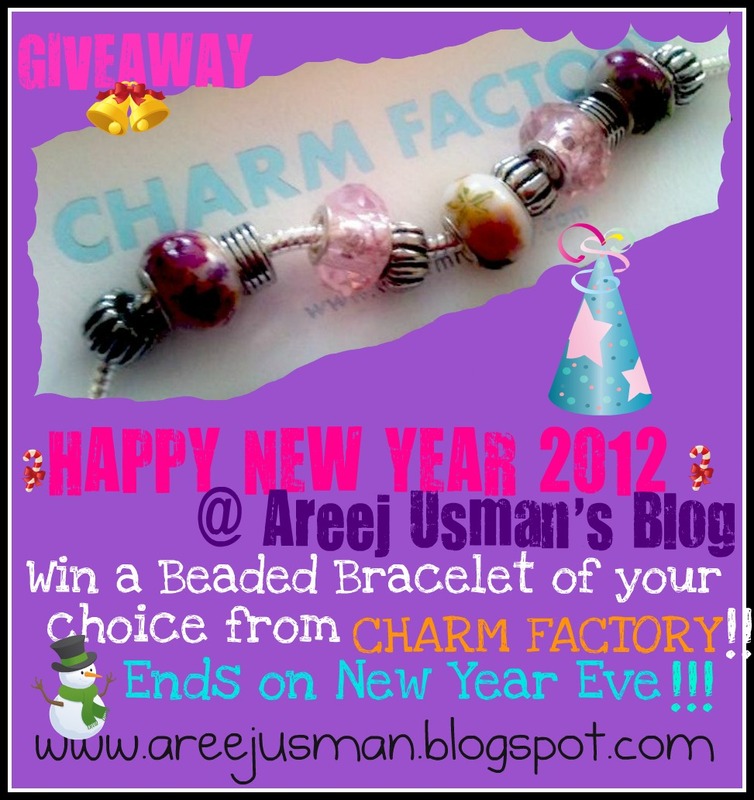 Home Fashion	HAPPY NEW YEAR 2012 GIVEAWAY by CHARM FACTORY!! How is everything!Well we all are geared up to say Good Bye to 2011 & Welcome another New Year 2012! I wanna wish all of you girls A very HAPPY NEW YEAR IN ADVANCE & MAY THIS YEAR BRING LOADS OF JOYS & EVERLASTING HAPPINESS FOR ALL OF YOU! So come on Girls LETS CELEBRATE!! I am happy to be hosting this Giveaway sponsored by CHARM FACTORY!You can enter & win a branded beaded bracelet of your choice from a range of charming bracelets! All you have to do is to follow the simple rules! The maximum number of entries that a person can get is 15. This Giveaway starts today on 5th Dec & ends on Dec 31st! There will be only one winner & CHARM FACTORY will ship the prize directly to the lucky winner! For more information on Charm Factory Click here!